Now it is possible through a company called DNA11. 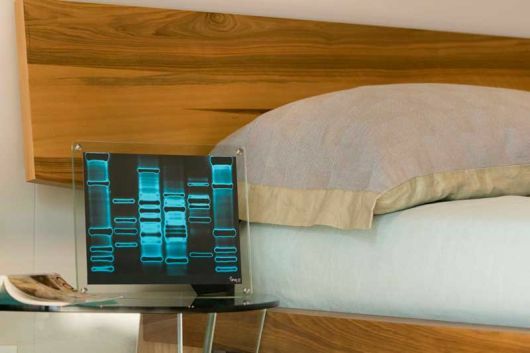 You send a swab of the inside of your mouth to dna11.com and they in a short time will send you back your dna portrait which can be coloured to match your place decor. This will represent your most extreme personalized stuff.